In recent months, there have been several rumors that Smackdown Superstar, Andrade, is not happy with how WWE has used him. The 29-year-old signed with the promotion in 2015. Aside from participating in the 2018 Royal Rumble match, Andrade has never wrestled on a WWE main roster PPV. According to a recent report from the Wrestling Observer Newsletter, Andrade has warned other luchadors from signing with the promotion. “In the case of Rush, he’s very close with Andrade, who pretty much warned him and Dragon Lee about going to WWE,” wrote Dave Meltzer in reference to Rush’s signing with ROH. “Andrade’s advice was that WWE wasn’t what it was cracked up to being,” Meltzer continued. Andrade has played a more important role on Smackdown as of late. He defeated Rey Mysterio in single’s action this week. Andrade is scheduled to face Rey Mysterio again this week in a best 2-of-3 falls match on Tuesday. Tuesday will be the 3rd single’s match between Andrade and Mysterio in WWE. Mysterio beat Andrade in the first match back in November. Andrade and Samoa Joe defeated Mustafa Ali and Mysterio two weeks ago on Smackdown as well. 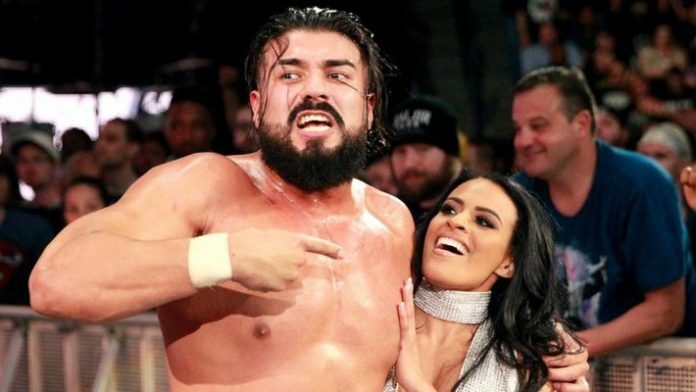 Recently, WWE shortened Andrade’s name from Andrade “Cien” Almas to just Andrade.